The road to a dormant blog is paved with good intentions. I had all sorts of opportunity over this last year to write, but something or another more important always usurped priority. Even more so, I had no shortage of topics with which to opine. There were many aviation trips, numerous adventures with my family, and a plethora of ideas to investigate. One such family adventure involved one of the shortest aviation trips we’ve ever taken and raises to mind some ideas about natural overreaction as a standard response. This story begins, as many of my stories seem to the last couple of years, with a flight in our airplane. It was a beautiful summer afternoon, or more specifically: Saturday, June 14. (I love flight logbooks.) 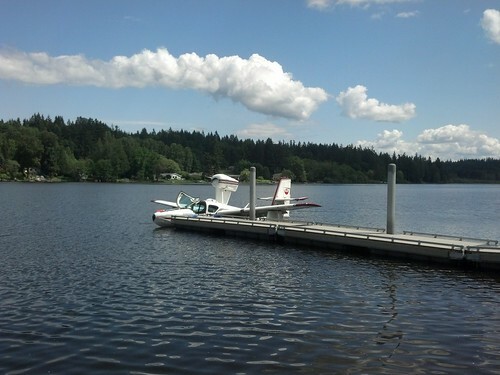 We didn’t have a lot of time that day, so we decided to hop in the airplane and make a very short trip from Bremerton National to Longlake, a trip so short you hardly get into a cruise configuration before you need to setup for descent. It was just an excuse to enjoy the water on a summer afternoon. We came in for a landing toward the south end of the lake, and we were down and into idle-power displacement taxi in a few seconds, having only consumed the bottom quarter of the lake surface. The shore on the other side on the left half of the picture is across the “narrow” width of the lake. The shore on the right half of the picture is aiming toward the south end, but not completely. Up at the very northern end of the lake is a public park. The eastern half of that park borders a northeastern ark of the lake such that folks there can’t see more than perhaps the northern 20% of the lake. We had all already visited Lake Cushman together in the airplane, so Longlake was not a particularly new adventure. It was just something fun and enjoyable to do as a family. To try to avoid annoying the residents, I typically move around on lakes in displacement taxi because the engine noise is considerably lower. It takes a lot longer to get anywhere, but we weren’t in any rush. We opened up the canopies and enjoyed the fresh air as we made our way up to the northern end of the lake. Once we got to perhaps 1,000 feet away from the park’s beach area, I turned the engine off completely and let us just drift there for a while. There was a gentile northeastern breeze, but since we were only about 1,000 feet from the northern shore, we weren’t really drifting all that much. As is my custom, I climbed out onto the nose of the airplane to enjoy the view and give the smaller members of my family a chance to crawl around in the cabin. (I lost that hat, by the way. I miss that hat.) Anyway, so as I’m sure you can imagine, the folks enjoying the day at the beach didn’t see us land, and they probably didn’t hear us all that much as we meandered into view. They saw an airplane sitting low on the water with some guy sitting on its nose. Well, some time passed, and there grew a small group of folks on the beach staring at us. This isn’t unusual. Our airplane is weird, so we get gawkers all the time. One of them waved, so I waved back. A little while later, a small fishing both with a man and presumably his son came by to say hello. We chatted for a bit, he asked about the airplane, we wished each other a nice day, and then they departed off to the east. After a few more minutes, someone on the beach turned sharply and ran off. (It was one of those runs that might seem to indicate the person didn’t normally run.) I didn’t think much of it at the time. There were children in the park, so I may have just assumed the person heard a child calling or something. Regardless, our children in the airplane were beginning to get a little bored with just sitting on the water, so I made my way back into the pilot’s seat, and we got everyone buckled securely. I got the engine started up again, set it to idle speed, and began heading down to the south end of the lake for takeoff. The lake is fairly long, so it took us a few minutes, but once at the southern end, we throttled up and took off toward the north. Later that evening, when we were back at home eating dinner and relaxing, my wife began reading through some sort of web site thing called “Face Book,” and she discovered a discussion about an airplane that crashed on Longlake. Someone reported the airplane was sinking near the northern end of the lake. 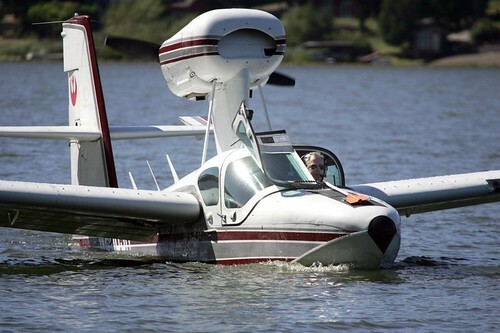 It was “taking on water,” and the pilot was frantically signaling for help. 911 had been called. The Kitsap Sun (perhaps the only good news journalism source for our area) had sent out a reporter. Response units were in route. Cats and dogs, living together. Mass hysteria. We decided to buy a few boxes of donuts and take them to the firefighters who had responded to the 911 call. They were pretty laid-back about the whole thing. “This happens all the time,” one of them said. This got me to thinking about overreaction as a standard response to incomplete input. If we know nothing, we’re in a state of ignorance (which some might claim is bliss, but I don’t). If we know everything (or at least a sufficient amount), we don’t freak out unreasonably because we know what’s really going on. We are able to decide to have a response that’s based on facts, in theory. The problem comes when we have a little bit of information surrounded by lots of gaping holes. In that scenario, we tend to fill in the gaps with assumptions. Some assume that since statistically it’s unlikely the world is about to end, whatever we’re seeing is probably not some sort of emergency, or if it is, someone’s got it well in hand. Like when we flew over the northern end of the park and assumed someone had a heart attack, or when the majority of the people on the beach didn’t run off to call 911. But others assume that despite the fact that statistically emergencies happen only a small faction of the time, if there isn’t sufficient evidence to prove an emergency isn’t taking place, an emergency must be taking place, and therefore panic is a reasonable response. 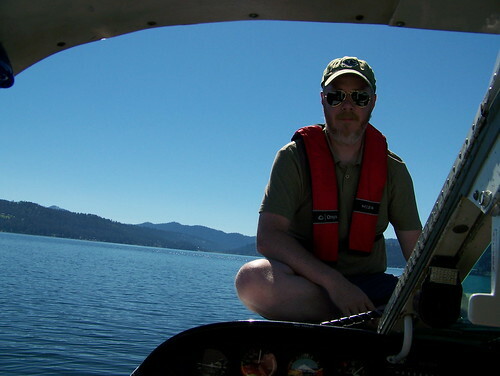 Well, we didn’t fly back to Longlake for months after, and then only once when there was a seaplane fly-in. 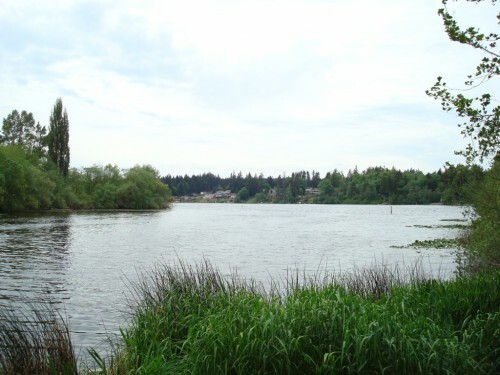 There are so many other lakes to visit that don’t have public beach access.